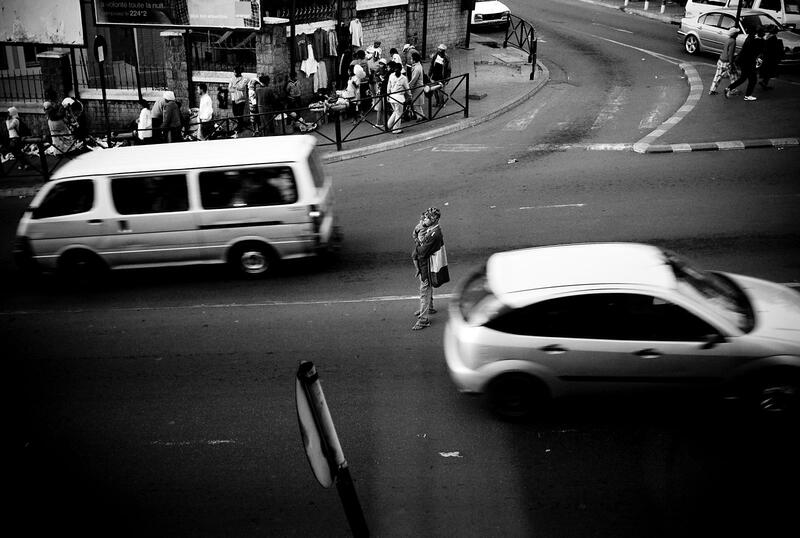 Antananarivo, Madagascar - A child waiting for cars to stop so that he can beg for money. The political crisis greatly perturbed the country's already catastrophic economy. The coup d'état that ensued led to the departure of the main foreign funders and investors, particularly from the US. 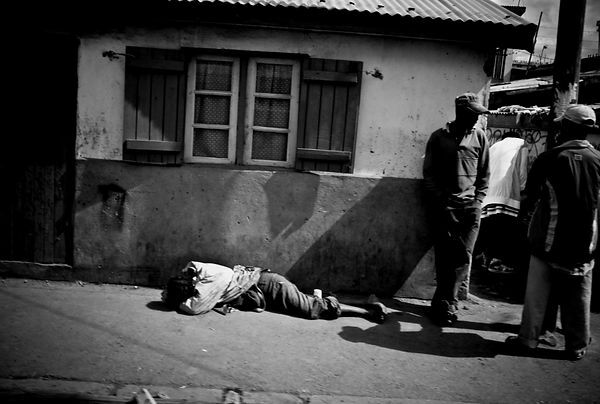 According to a Malagasy sociologist, food riots are likely to erupt in the coming months if the state does not resolve unemployment issues. Madagascar is 143rd out of 177 on the Human Development Index. 70% of its 20 million inhabitants live on less than a dollar a day.